Wow Andrea that's awesome! I'm emailing you now, so please respond with your mailing address so I can inform Michelle where to send your autographed copy of Cleopatra's Daughter. I'm seriously jealous! Mines not even autographed! lol. If Andrea fails to respond by Saturday Morning, I will choose a new winner! 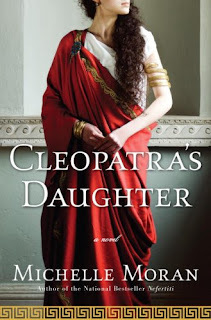 Still want to read Cleopatra's Daughter by Michelle Moran? Order it from the Falling Off The Shelf Store!